If you are looking to buy stock photos, you can now get them on the cheap from iStock, which has announced that half of its library has had its price cut in half. iStockphoto has been busy. They have just completed a huge overhaul which includes prices, executive leadership, and additional top name contributors. If you have not seen the new look, the new stock photos or the new pricing it is something you should check out now. 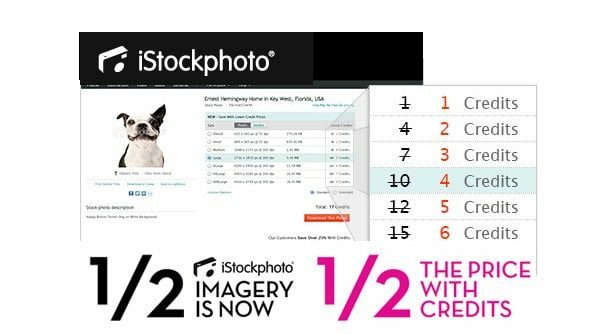 The biggest change that will effect account holders and stock photo buyers is the new pricing system at iStockphoto. This is a long term strategy that is far better than an short term coupon code deal. 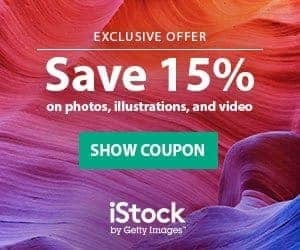 Over half of the iStockphoto library is now selling at 50% off. The pricing advantage is for credit users only but you will save a lot of money through this new pricing strategy. If a photo was previously 2 credits, the current price is 1 credit. If an image was previously 4 credits, the price is now 2 credits. Save more when you buy a larger credit package. The 50% pricing strategy is for images, illustrations, audio and videos! This is a wonderful break from iStockphoto. Yuri Arcurs is now a contributor to iStockphoto with a good portion of his portfolia available on iStock. This move has been public and has caused a lot of rumbling in the stock photo industry. For iStock users, it is a great benefit and will save them money when looking for high quality professional images. Support Yuri's move to iStockphoto and have a look at his portfolio that is slowly being uploaded to the iStockphoto library. These new changes were implement by the new Exective head of iStockphoto. Ellen Desmarais was appointed as the new General Manager of iStockphoto and the leader behind these new changes. iStockphoto is looking forward to continued additions and user value being implemented by Ms. Demarais during her term. 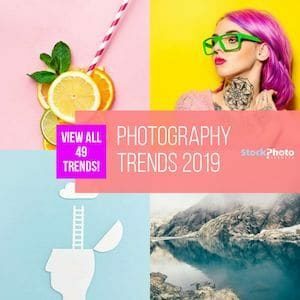 In addition to the changes above, stock photo buyers will enjoy the new search experience found on iStock that helps buyers find the best photo at the best price faster than before. We will keep you post on the new items and functions that Ms. Demarais and her team dream up over the next months. There is a reason iStockphoto remains in the top slot for stock photo. They are continually on the move looking for new ways to enhance and perfect the contributor and stock photo buyer experience. The stock photo market is competitive and iStock retains their competative edge as the industry changes. Read our iStockphoto Review and the article about Yuri Arcurs other stock photo developments.